All matter is created from different frequencies of vibration which contains specific information and light energy that resonate. 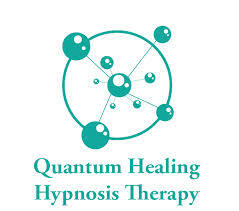 In this healing modality the therapist uses her intuitive ability to locate the correct sound tonal frequencies that relate to the different energy centres of the body to dissolve energetic blockages and allow a resonate spin and reconnection of all energy centres to be re-established and in clear harmonious communication. The intend is the opening up the energy channels or chakras of the body so that the mind-body-spirit can be integrated and all work together in aligning to ones natural health and wellness. The therapist may share other insights, ask you questions to access deeper discovery, revelations and clarity. The client generally will leave feeling more centred, relaxed with a renewed clarity and inter connectivity within body, mind and spirit. These sessions are soulful sessions. These session are truly life transformational healing sessions. We have a page on this web site dedicated to this modality and another website. Allow 3hr - 5hr for your session. Investment $444. Only one session is required and all sessions are recorded. A gentle energetic treatment that dissipates the electrical magnetic charges of limiting thought patterns and believes that are creating lack of peace and contentment. The worst that can happen is you feel like you had a gentle massage and the best that can happen is you feel lighter and that your life has changed in ways you could only imagine previous.